Remember the days when all your finishes had to match? Not too long ago, if you had satin nickel door and drawer pulls you had to have satin nickel faucets and lighting fixtures. Today, things are getting more interesting and mixing metal finishes is actually accepted and popular! Mixing metal finishes will add visual interest and depth to a space and can be done especially well in kitchens and baths. The key to doing it well is not to go overboard. Start by selecting two to three different finishes that compliment one another. One great way to mix finishes is to select one shiny and one matte, such as brass and oil rubbed bronze. You can also stick with one type of metal and mix a polished finish with a brushed or hammered finish. And in your kitchen, don't forget that your appliance finishes count too! 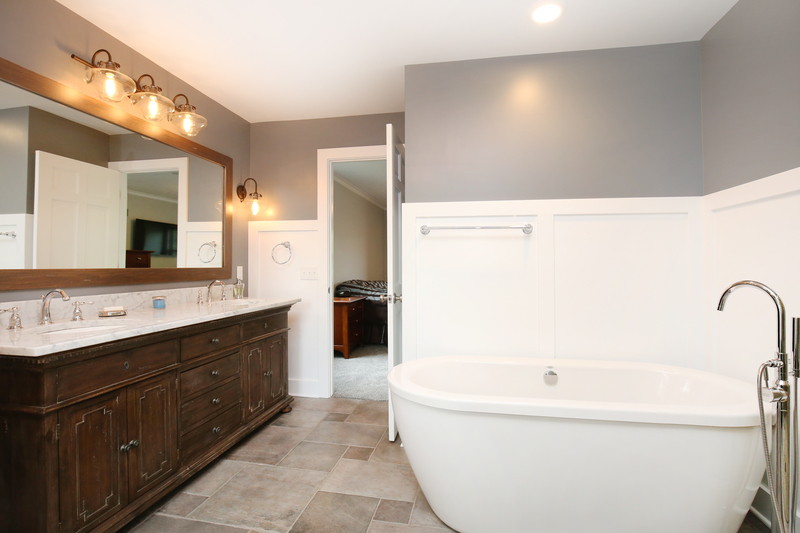 Here’s a recent award-winning bath remodel that Thompson Remodeling completed where we were successful in mixing metal finishes. Our clients fell in love with this tub and faucet and it came at a great packaged price. The only problem was its polished chrome finish. Previously, rubbed bronze had been selected for all plumbing fixtures and lighting. 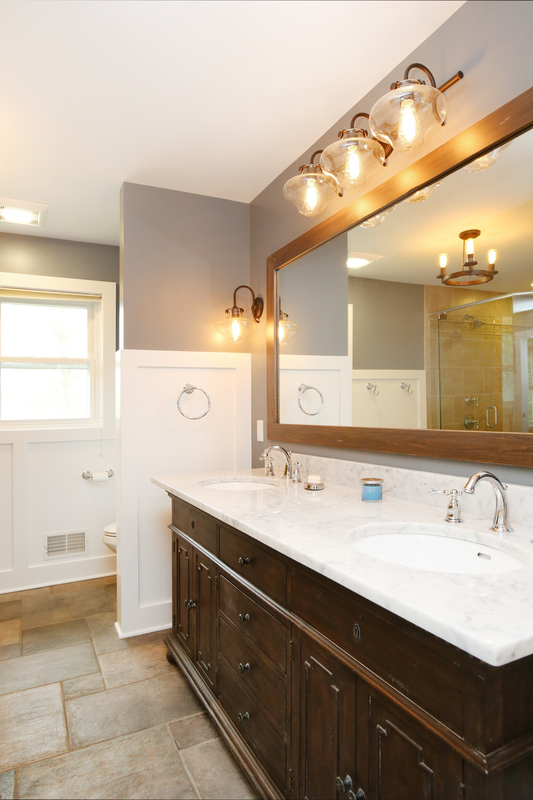 By selecting a dark finish to the vanity and warm toned tiles for the floor we created balance with the metals. In the end everyone decided they actually liked the mix of finishes! We think it looks great! By smartly selecting materials and finishes we were able to combine classic and modern aesthetics and also stay within their budget.